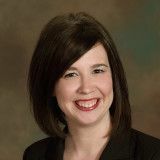 Jennifer L. Rench is a family law attorney and owner of J. Rench Law Firm, LLC | St. Louis Divorce and Mediation. Her law firm helps clients through divorce by offering divorce mediation services, collaborative divorce services, and divorce representation. Her philosophy is to help clients resolve legal matters in the most effective way possible. She accomplishes this through communication, collaboration, interest-based negotiations, and other progressive strategies. Her values center on understanding her clients’ needs and meeting those needs using her legal experience and problem solving skills. While she has served in other areas of law, family law is especially fulfilling for Jennifer. She is particularly driven to create practical family-focused solutions for clients with children. 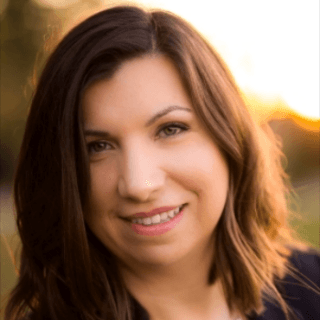 Jennifer’s aim with every client is to ease high-conflict situations by developing well-informed solutions, while also protecting the rights of her clients. Her other aim is to educate her clients in order to bring clarity and understanding to a complex situation. She has extensive experience helping clients identify issues and negotiate agreements. 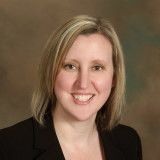 Jennifer is a passionate supporter of the Collaborative Family Law Association, volunteering her experience and skills to help educate the public about a variety of divorce options, such as divorce mediation, collaborative divorce, and other alternative divorce resolution processes. Consultation appointments can be made through our website at www.stldivorceandmediation.com or by calling the office at 314-725-4000. 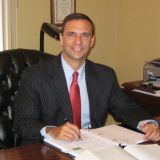 Law firm focusing on divorce, divorce mediation and collaborative divorce in St. Louis, Missouri. Activities: IACP is the International Academy of Collaborative Professionals, an international community of legal, mental health and financial professionals working in concert to create client-centered processes for resolving conflict. Activities: The Collaborative Family Law Association (CFLA) is a not-for-profit organization of independent, unaffiliated, attorneys, mental health, and financial professionals, committed to resolving family disputes through a non-adversarial process known as Collaborative Practice. CFLA offers a network of specially trained professionals to assist divorcing couples find their own solutions for their family’s future. Activities: The Missouri Bar was created in 1944 by order of the Supreme Court of Missouri. Its mission is to improve the legal profession, the administration of justice and the law on behalf of the public. Through educational programs, publications, and more, The Missouri Bar serves as a valuable resource for members—and for the citizens of Missouri. Q. Father moved out of state almost 4 years ago...child, 16, now states he want to move too. A: As an attorney, I think there are lots of questions I would ask you before being able to really get an opinion. But before you jump into analyzing the custody factors, in a motion to modify you have to start with whether or not he can get his foot in the door - so to speak. The "8 factor test" refers to the 8 factors the court must consider when determining custody of a child found in 452.375 RSMo. But once custody is determined (as in your case), then the parent asking for a change must first show that he or she is entitled to a modification under 452.410 RSMo. To start, you said that Father filed a motion to modify stating he should be compensation for lost time. What are the current arrangements and what is he asking for - specifically? In a motion to modify, the analysis of whether or not he is entitled to ask for a change would be very different depending on whether you currently had joint physical custody or if you had sole physical custody, and if he is asking to change from sole to joint or if he is just asking to change the schedule. Your question sounds like he is asking for a bit more than just a bit of make up time, but without knowing the answers to the questions above (and more that I would probably ask after finding out the answers to the above), it would be difficult to give an opinion given only this information. All the best! If you are in the St. Louis area, feel free to contact me. Q. If I am reading this right, when I child turns 18 support will stop until they go to college? A: If I understand, you are trying to determine when child support stops if your child continues on to college. The timing of events is really crucial to give an accurate answer, but if the scenario is that your child graduates high school or completes a GED program, turns 18 but will be going on to college, then your child has until October 1st following graduation to enroll in at least 12 hours of credit for each college semester. Turning 18 won't by itself terminate child support in that situation as the law gives them a little time to enroll in college. And then there are all kinds of things that must happen in order for support to continue. The variations of that are really too much to contemplate without more facts, but a family law attorney in your area would be able to help you figure this out. Also, terminating a current order is not dependent on whether or not arrears are owed. In fact, one of the most critical mistakes that I see happen is that parents that pay child support fail to rightfully terminate an order and the court cannot retroactively terminate the order, so current support continues to accrue. If you believe that a child support order should be terminated, you should seek legal advice quickly. Q. What does it mean for a child to primarily reside in each parents custody? A: This is not as easy of a question to answer as it sounds. The Form 14 is one page, however there a is a 40-page document that accompanies this form titled "DIRECTIONS, COMMENTS FOR USE AND EXAMPLES FOR COMPLETION OF FORM NO. 14". There are also relevant cases in Missouri that specifically talks about the application of a credit on Line 2c. To give you some direction, the excerpt that guides us regarding the Line 2c credit are as follows: Line 2c: Adjustment to gross income for other children primarily residing with a parent DIRECTION: Enter the monthly amount of the support obligation of the parent for any children primarily residing in his or her custody and not the subject of this proceeding. The amount of the adjustment is the amount in the schedule of basic child support obligations that represents that parent’s support obligation based only on that parent’s gross income and without any adjustment for other children for whom that parent is responsible. CAVEAT: The adjustment for a child for whom there is an existing court or administrative order shall be reduced by the amount that is actually being paid in current support payments. An adjustment is appropriate in a proceeding to establish a child support order or to modify the support payable under an existing order. The adjustment is available for the parent’s natural and adopted children but not the parent’s stepchildren. (1) In any action to decrease child support, a parent obligated to pay support shall not be entitled to a line 2(c) credit for children born to or adopted by the parent obligated to pay support after the entry of the current order. However, the parent obligated to pay support will be allowed a line 2(c) credit for children that have remained primarily residing with the parent obligated to pay support from prior to the existing order. (2) In any action to increase child support, a parent obligated to pay support shall be entitled to a line 2(c) credit for children born to or adopted by the parent obligated to pay support after the entry of the current order. However, the use of the credit alone cannot act to reduce the current support amount in the action in question. A. COMMENT: Children are primarily residing in a parent's custody though living away from the parent to attend school. Q. My daughter's father says he will not let her move out of state with me to pursue my Master's degree. What can I do? A: The answer is complicated and very fact driven. Missouri laws address the relocation of a child, but it discusses your obligations as the proposed moving parent in terms of giving notice to "any party with custody or visitation rights." Since your question referred to "unordered child support" I assume that Father's custody rights have not been adjudicated either. That is going to be a problem for him when he tries to prevent a move, but of course it doesn't prevent him from now filing suit in court to get court order custody or visitation rights. However, sometimes the best approach is to see what agreements can be made so that you can accomplish your goals and your child can still see her Father. Even though he is saying he will never let you move out of state, neither one of you can probably make that decision until you both gather more information about your rights, obligations and possible options. I suggest consulting with a family law attorney so that he or she can gather more facts, review your options and help you proceed in the best way that will keep the conflict low. Q. My sons father hasn't contacted me in almost a year about our son. Can I file for abandonment? A: There isn't a cause of action called abandonment, but abandoning a child can be part of a claim form some specific relief. It seems like more information is needed. What are you trying to accomplish? Getting child support from your son's father? Having another person adopt your child? If he isn't on the birth certificate and hasn't otherwise been found by a court or the state to be the father of this child, then he doesn't have rights as the legal father. What is it you are seeking to do? Q. In my divorce case I wasn't given credit for overnight visitation on Form 14. A: There are situations in which the overnight visitation credit may be rebutted or not given. For example, the overnight visitation credit will not be allowed (with certain exceptions) unless the adjusted monthly gross income of the parent receiving support exceeds a minimum set amount of income. Also the line 11 credit can be lowered if the parent paying support doesn't actually exercise the overnight visitation or custody or doesn't incur significant expenses as a result of exercising the overnight periods. It is possible that your attorney was saying the judge doesn't give credit for overnight visitation given your facts, but without knowing all of the relevant facts it would be impossible to determine what is true. It may be helpful to ask your attorney to explain his or her comment. All the best! Q. I am needing help with getting my divorce papers started. A: Teresa, In order for an attorney to help you, the attorney will need to talk with you, gather some information from you and learn exactly what you are needing to accomplish. Your best bet is to pay an attorney for a couple hours of his or her time to meet with you and answer your questions. If you are in the St. Louis area, feel free to contact me. Q. Trying to get divorced, but neither of us has filed taxes for several years. Can we estimate debt on the forms? A: One way to go about this would be to talk to a CPA about filing for the years you missed before you divorce. You may owe or you may be due a refund, but it could be easier to figure out how that should be handled with more information. Good luck! A: In Missouri, a court would determine the presumed amount of child support by entering information on a Form 14 worksheet. There is information missing from your question that would be needed in order to determine the amount of child support. For example, in some situations the child support calculation allows the payer to take a credit to lower child support based on the number of overnights the payer exercises with the child. Joint custody doesn't describe the number of overnights one parent has. It could be 152 nights or 182 nights and those payers would receive different credits. This credit is also not allowed if the receiving parent makes under a certain amount of money. Another piece of missing information is more details about the other children living in the payer's home. Were they children born before the child subject to the child support case? After? Are they dependents of the payer? Is there a child support order in place for those other children? Yet another missing piece is the amount of health insurance paid and who pays it. These are just a few questions that come to mind. An attorney would want to gather this and other information to answer your question. I hope this was helpful!